In 2018 the Czech Republic will be celebrating 100 years since the start of their independence and in this post I will be writing about some of the things that have happened in the last 100 years which are important to the Czechs. The Czech Republic used to be part of Czechoslovakia, which was formed after World War I in 1918 when the Austro-Hungarian Empire was collapsing. In October 1918 the Czechoslovak Declaration of Independence was signed and this would free the Czech and also Slovakian lands from the Austro-Hungarian (Austrian-Hungarian) Empire. Then from 1918 to 1993 Czech lands were part of Czechoslovakia. There were various stages of this, such as the first Czechoslovak Republic from 1918 to 1938 consisting of Bohemia, Moravia, Czech Silesia, Slovakia and Subcarpathian Ruthenia. Followed by the Second Czechoslovak Republic from this in 1938 to 1945. A third republic from 1945-1948, a communist era (1948-1989), a Velvet Revolution (1989), a Post-revolution (1989-1992) and finally the dissolution where the Czech Republic fully formed to what it is today in 1993. To this date (at time of writing) the Czech Republic consists of three historical regions Bohemia, Moravia, and Czech Silesia with Bohemia being the largest and the location of Prague the capital of the country. Slovakia is also now independent since the dissolution. 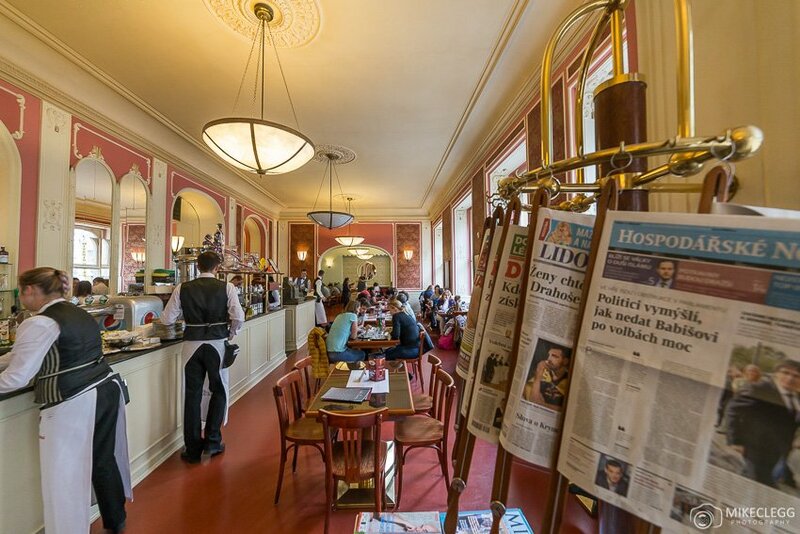 There are various cafés that have been around since the beginning of the formation of the Czech Republic in the 1900s, and a few of the most important are below. Although you can sometimes visit these café by walk-in, for guaranteed entry it’s always best to make a reservation. 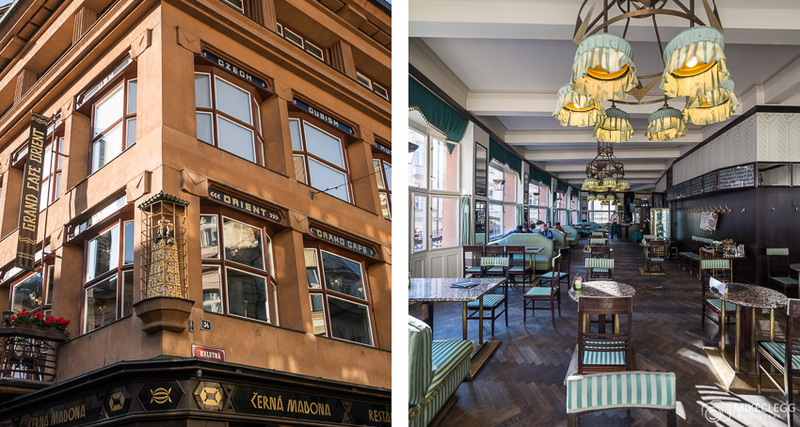 One of Prague’s oldest cafés since 1902. It has a beautiful design with soft pink and cream colours, as well as old-fashioned decorations including paintings, an old till, pool tables and various other features. Previous guests of the cafe have included famous physicist Albert Einstein, as well as novelist, playwright and poet Franz Werfel. It now retains much of its original atmosphere and spirit and is now a frequent place for meetings in Prague. Should you be visiting it is a wonderful and historic place to go for a quick visit or a meal. 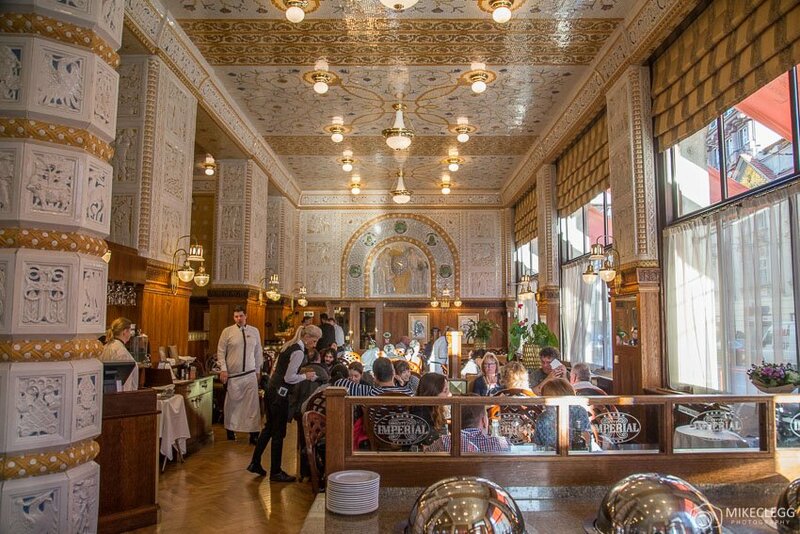 The Grand Café Orient is a beautiful and historic cafe. It is designed using a Cubist architecture style and is on the first floor of the building House of the Black Madonna. This cafe was originally open for 10 years in the early 1900’s, but then closed for around 80 years. It has now been re-opened and retains must of its style. The cafe is very beautiful with elegant furnishings and they also have old-fashioned classic music playing in the background. The cafe provides an extensive menu including breakfast options, a large range of coffees, alcoholic drinks and more. Another fantastic cafe to visit would be the Café Imperial which has an absolutely stunning and luxurious Art Deco interior. It has been around since 1914 and in the past has been visited by famous writer Franz Kafka and composer Leoš Janáček. The design still even has it’s original mosaic ceiling and ceramic wall tiling from 1914. It would make a great place for lunch or dinner and has lots of Czech cuisine options on the menu. 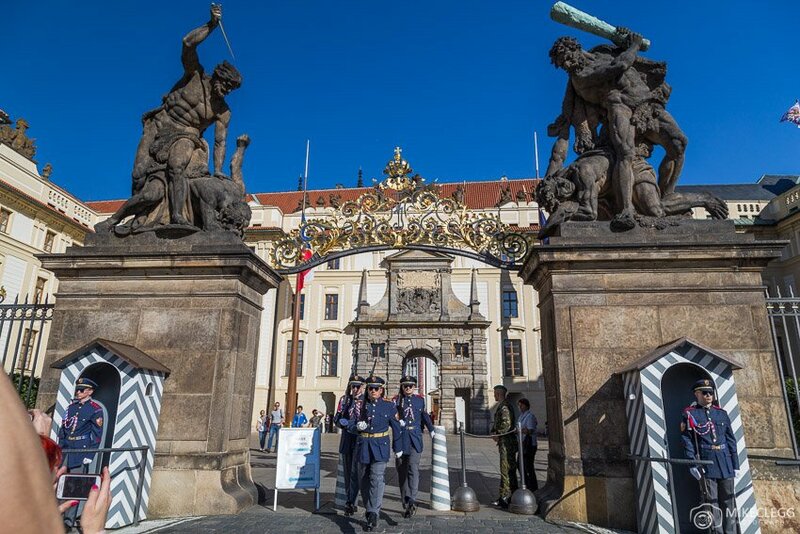 There are various historic places and architecture in the Czech Republic, which are well suited to mention as part of the 100 Years Celebration. Starting with one of the most famous places in the Czech Republic, Prague Castle. This is one of the largest castle complexes in Europe and in 1918 it was the seat of Tomáš Garrigue Masaryk who was the first president of the Czechoslovak Republic. The castle was also modernised in the 1920s by Slovenian architect Jože Plečnik. He made changes to the First Castle Courtyard by Matthias Gate (seen below), created the Bull Staircase, designed the Masaryk Lookout and made various other changes. Prague Castle is now a popular tourist attraction where visitors can explore various areas that are open to the public. 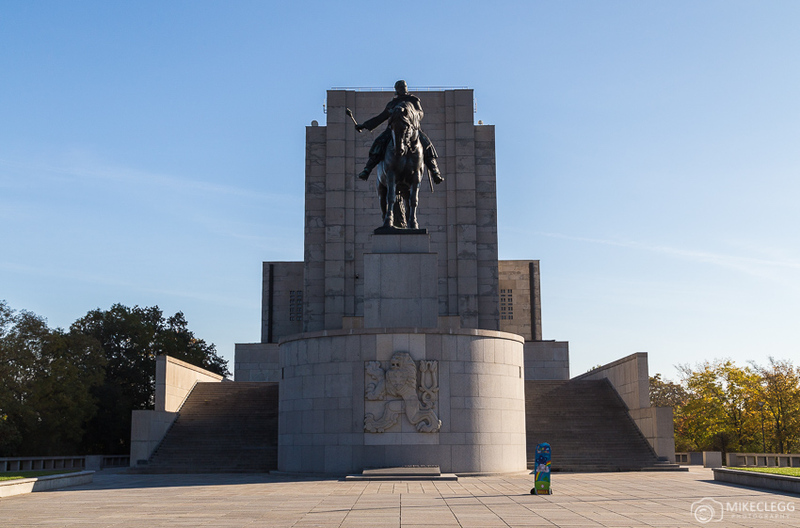 On top of Vítkov Hill is the National Monument which is a monument dedicated to the Czechoslovak Legions. It has a statue of a military leader Jan Žižka who defeated King Sigismund in the Battle of Vítkov Hill in 1420. The statue is the third largest bronze equestrian statue in the world at 9 meters high. The entire monument started being constructed in 1928 with foundations being laid. The statue wasn’t started until 1931 and after various delays from wars, occupation and other events, it didn’t finally open to the public until 2009. Around the monument is also a museum which has various permanent/long-term exhibitions including “Crossroads of Czech and Czechoslovak Statehood” and “Laboratory of Power / Mausoleum”. As well as this there is sometimes temporary displays. The National Technical Museum was established in 1908 has collections from the last 100 years. However, it wasn’t until after the Velvet Revolution that the exhibitions were available and until 2013 that the museum was fully finished. The museum now houses various collections such as transportation, mining, technology, architecture and design. Febiofest is the International Film Festival and was founded in 1993. It is now one of the largest film festivals in the Czech Republic. The festival aims to show the best films from over the last year, with a good mix of productions from children, experimental, gay and lesbian and other types. The festival is located at a 12 screen multiplex cinema in Prague. After the Prague screenings, some of the films are then shown in 8 other Czech cities. Held annually in Ostrava since 2002 this is now a multi-genre music festival. It takes place over four days and has over 350 performances/activities. It is also free to attend and free for artists. Starting in 2006 it’s now one of the largest summer music festivals in Europe drawing in nearly 100,000 jazz fans. There are events held throughout the Czech Republic, such as in Prague, Pilsen, Brno and various other places. The festival is free to attend and all concerts are held open air in town squares and other historic locations. This music festival dates back to 1992 and is held in the beautiful Český Krumlov. It includes music from the 15th to the 21st Century. Some of the music you’d expect would be jazz, folklore, opera, classical and various others. One of the older events is the Prague Spring Festival which dates from 1946 and is an important cultural festival for the Czechs. It has various classical music and was started by conductor Rafael Kubelik. Around 12,000 visitors attend each year and they’ve even had as many as 40,000 tickets sold in a single year. At Černá Hora Ski Resort the first cable car in the Czech Republic was built in 1928. 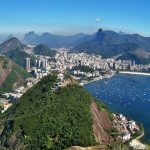 It was also the location of the “second World Cup skiing event”. Other ski locations include the Ještěd Ski Resort, which has had a hotel from 1907 and also held the 1914 European Championship on a 3km toboggan run. Amazingly there are now around 100 golf resorts in the Czech Republic throughout the country, with half of them being 18 hole courses. The first course was created in the early 20th century. 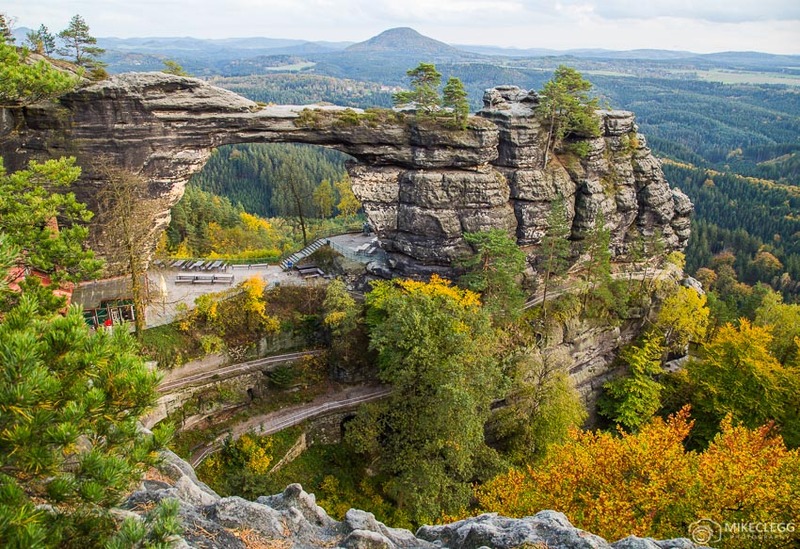 Throughout the Czech Republic are over 40,000 kilometres of hiking trails. 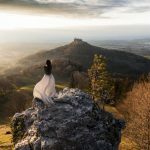 One of the most beautiful I’ve been to includes the Bohemian Switzerland National Park towards the north of the country, and other places include the Šumava lakes and Adršpach- Teplice Rocks. A lot of the places mentioned can be visited during a trip to Prague. This is the capital of the Czech Republic and has great connections in and out of the city. 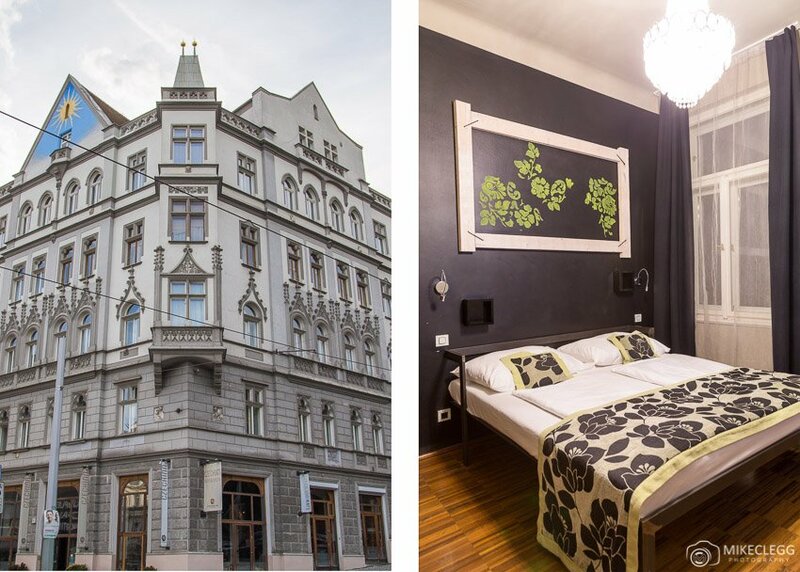 Budget – A nice hostel/hotel is the Czech Inn which has private rooms as well as dormitories. The hotel is also in a beautiful building and inside has a bar, cafe and common room. As well as this there is a happy hour in the bar and also walking tours on offer. For more information on the Czech Republic head to czechtourism.com. 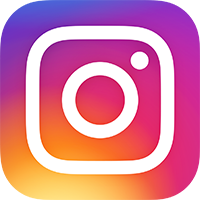 Disclaimer: Facts and information obtained through media information from Czech Tourism, and various other sources. Please always check official sources of information as appropriate. Hey Buddy!, I found this information for you: "Czech Republic and the Last 100 Years". 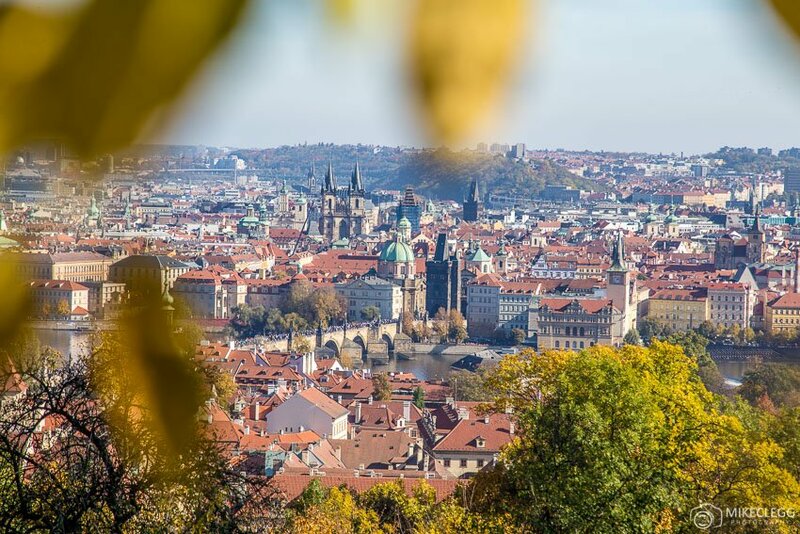 Here is the website link: https://www.travelanddestinations.com/czech-republic-and-the-last-100-years/. Thank you.